Fifteen hundred years ago, Padmasambhava, the Indian mystic who took Buddhism to Tibet, prophesized the challenging hardships that would afflict societies during the Kali Yuga. Among his many accurate predictions in this Dark Age was that people would not be able to sleep. Gone are the times when the only lights at night are the stars, moon and campfire. When the only sounds are of rain, streams, coyotes and night birds. Now, the vibration of city sounds and electromagnetic fields mingle with our over-stimulated nerves and unstable blood sugar to produce disturbing dreams and poor-quality sleep. An epidemic of insomnia and its associated symptoms of depression and anxiety afflict a large percentage of the population, and millions of people are addicted to toxic medications for treating these problems. From the quiet of the high mountains of the Mediterranean hillsides comes a plant with beautiful lavender-pink flowers resembling heart-shaped swans, offering its aromatic oil as an antidote to the suffering of agitated fatigue. 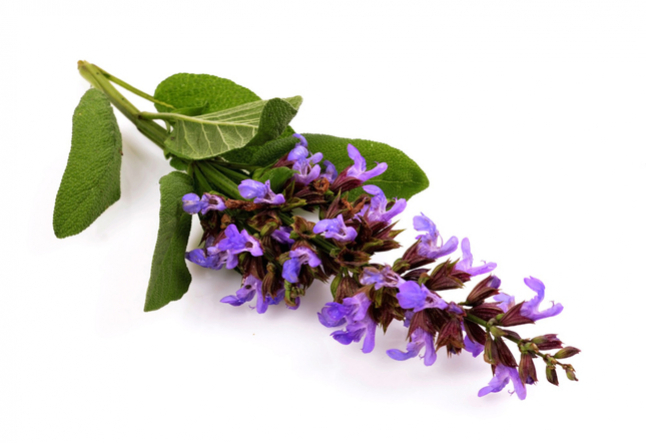 Clary sage (Salvia sclarea) received its Latin name from the word clarus, meaning “clear;” the herb was once called “Clear Eye,” because a mucilaginous wash made from its seeds was used to cleanse and brighten the eyes. Now we can think of the essential oil from this herb as one that gives us clear eyes upon awakening from peaceful sleep and tranquil dreams. Clary sage should not be confused with its relatives from the deserts of the Southwest. Most sages, such as white sage, which is used for ceremonial incense and smudging, have stimulating and energizing effects, while clary sage produces rejuvenation as a result of its calmative, antispasmodic and relaxing powers. Clary’s effects can be understood by examining its somewhat unusual chemical composition: along with lavender, it is one of only a few essential oils with a high percentage of esters - gentle bioactive molecules with anti-inflammatory, endocrine-balancing and nervous system-restoring properties. The chemical similarity with lavender makes these two oils an excellent therapeutic combination. Clary sage essential oil is a colorless to pale yellow liquid with a unique aroma. Sweet and herbaceous, it is soft with a bittersweet undertone. It has a persistence that perfumers describe as tobacco-like, balsamic, or tea-like. Its aroma has also been compared to rockrose and Moroccan chamomile. Clary sage has a very characteristic and unmistakable aroma, yet it would be difficult for someone other than a trained “nose” to accurately describe its multi-layered, wine-like complexities. For those who wake clear-eyed after a night of refreshing sleep and healing dreams, it is the aroma of contentment. Clary sage loves to grow in the bright open sunshine; yet ironically, it works to heal the dark depths of our unconscious mind. Passing beyond the barriers of habitual thoughts that keep us tossing and turning when we should be slumbering, its mysterious fragrance wafts from the pillow into the hidden recesses of the brain, promoting deep sleep and vivid dreams. Even though colorful dreams may fill the inner night sky, we wake refreshed, with our energy rejuvenated. Our spirit finds refreshment in the play of astral freedom, beyond the confining concerns of this world. Imagine the positive effects throughout society if stress-reducing fragrances like clary sage were used not just in occasional medical studies, but in every school, nursing home and office. 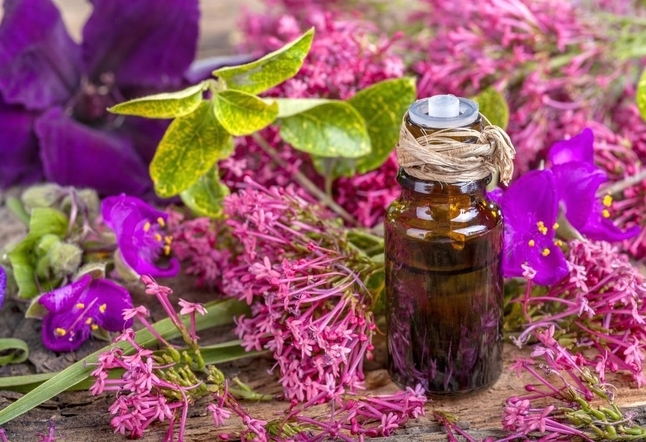 If you are one of the many people who are finding themselves increasingly sensitive and more easily overwhelmed by stressful circumstances, sprinkle a few drops of clary oil in the bath and on the pillow before sleep; it is a renowned tonic that increases physical and psychological strength. By relaxing tension and supporting vitality, it boosts confidence, lifts fatigue, calms anxiety and panic, and overcomes depression. Add a small amount in a diffuser will help pacify hyperactive children. What could be more precious in this age of mental unrest than an essence that produces euphoric elevation of the spirit while simultaneously bringing tranquil balance to the emotions?